A beautiful ring for the fashion forward lady in your life. 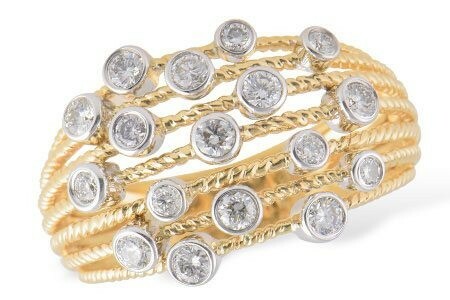 A half carat of diamonds are bezel set in 14k white gold on 14k yellow gold strands. 0.50 CT TW.